In the bicycle industry there are so many examples of socially conscious builders forging partnerships with ambitious and hardworking people in developing countries. Craig Calfee’s work with Bamboosero, Tom Ritchey’s work with Project Rwanda and Ross Evans’ work with Worldbike are nothing short of inspirational. I wish I could say that the partnership I entered into with an alleged former Prime Minister of Cameroon was as commendable. But sadly, that confederacy did not go well. On May 19, 2010 I received another e-mail. This time from a humble church reverend from Kenya. Would this be my chance to make a difference in the world? With much regards to your company services and products. I am rev Lugio Ibrahim and would like to make a purchase on treadmill Best value for walking and some jogging. Kindly send me a return e-mail on what you currently have in stock and what you can offer with prices and availability. Was this guy for real? Why would a church in Kenya order a treadmill from Canada? It didn’t really make sense. Unless, of course, he was just placing an order for any random product and then scheming to pull an advance-fee fraud on the unsuspecting vendor. As it happens, I was in a pretty good position to test the sanctity of my new acquaintance. You see, I don’t sell treadmills. If a hasty Internet search had led him to believe that I did, that’s only because I happen to advertise something similar but far more ridiculous: the “revolutionary” Treadmill Bike. If there’s a more irresponsible way to invest the limited resources of a small church in Kenya than by purchasing a Treadmill Bike, I don’t know what it is. As a test, I responded to Reverend Lugio with an offer that would be quite imprudent to accept. Thanks for writing. You can read all about our Treadmill Bike here. It retails for $2500. However, we are having a special on right now. If you purchase 4 Treadmill Bikes, we’ll give you a fifth one for free. Thank you for quote and please, I will like to order four TreadmillBike and i want to know the total cost without shipping. for the pick up to enable us process freight and schedule pick up accordingly. so we can process payment. Kindly send total cost and what date it can pick up from your location? Since I knew at this point that Reverend Lugio was a scammer, I thought it would be interesting to see how much further I could string him along. I’m sorry for the delayed response. Things have been quite busy here since we started our buy 4 get one free promotion. The total cost for four Treadmill Bikes would be $10000 Canadian. Of course, since you are buying 4, you will actually get a fifth Treadmill Bike for free. I trust that you will still take the fifth bike even though it will likely increase your shipping costs. 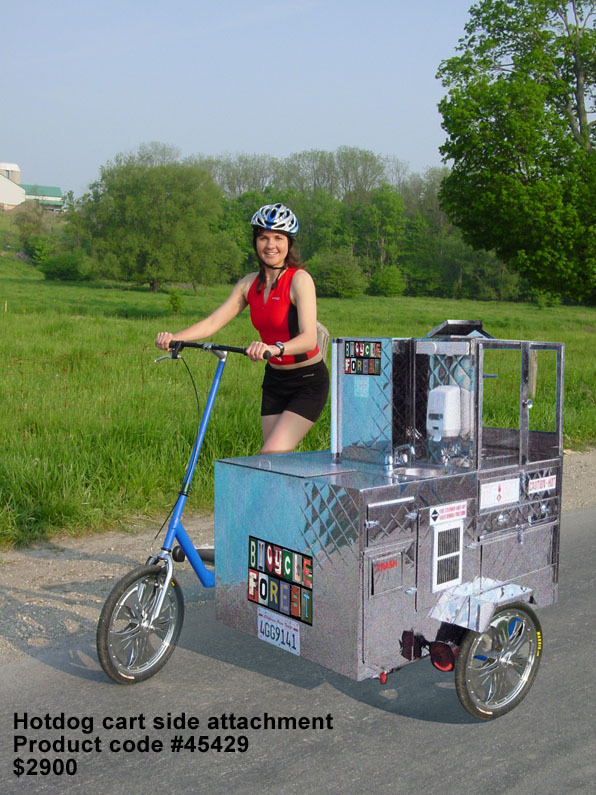 I can have five Treadmill Bikes ready for pickup at our facility by Friday June 18th. If you would like to pickup your order sooner, I have another shipment that was ready to go out last week, but there was a fire at the customer’s warehouse and they needed to cancel the order at the last minute. This particular order is another five treadmill bike order, but it includes a couple of accessory packages. One of the Treadmill Bikes is equipped with a dog walking side attachment and another is equipped with a hot dog vending cart. I’ve attached photos of these accessory packages. Normally these two accessory packages would add an extra $3700 to the cost. However, I will sell them to you for only $1500 extra. If you would like to proceed with this option, the total cost would be $11500 and they could be picked up as early as tomorrow. Let me know which option I should hold for you. Also, let me know your preferred method of payment. I have to admit, I was amused by Reverend Lugio’s response. Nice to hear from you again ,the new total cost for $11500 will be fine, since i need them earlier. please advice is asap can i make payment with my master or visa credit card? Lugio didn’t seem phased by the idea of attaching a hot dog vending cart to a treadmill on wheels. I figured I might as well see how much further I can pull the wool over his eyes. I’m sorry for the delayed response. I have to apologize, there was a miscommunication with our order fulfillment department. 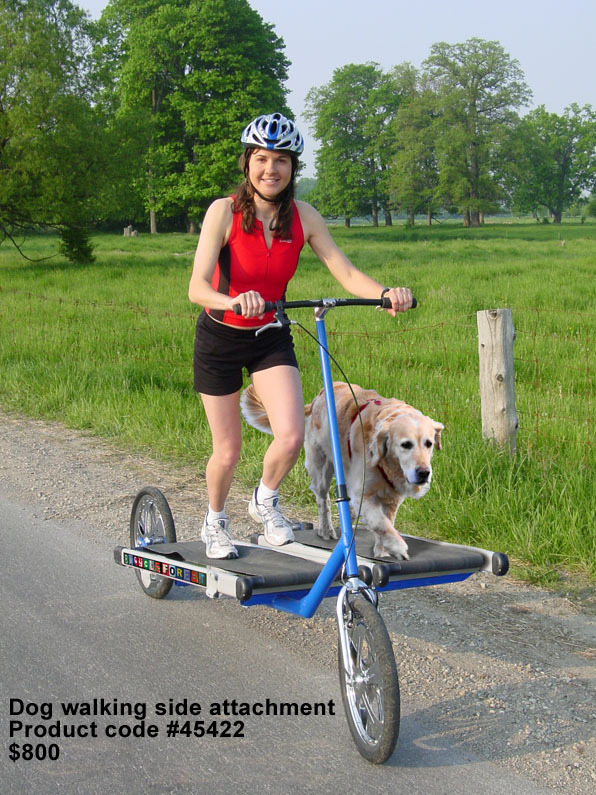 The shipment that is available now does not include the dog walking attachment. Instead, it includes the fog walking accessory kit. The fog walking accessory kit is only $400 as opposed to $800 for the dog walking attachment. Therefore, the total cost for this order is actually only $11100. I trust that you will be okay with this. 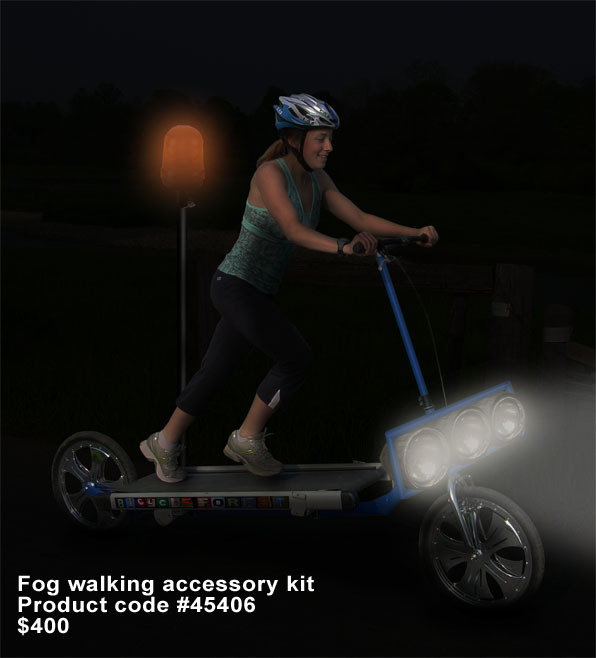 The fog walking accessory kit is our most popular option. I also neglected to mention that the hot dog vending cart comes with a complementary set of barbecue tongs. You can choose between cherry or ergo grip. Which do you prefer? Yes, you can make payment with either Visa or Mastercard. When can we expect you to pick up this shipment? Let me know if there is anything more I can do for you. I actually didn’t hear right back from Reverend Lugio about that, but on June 7, 2010 I was contacted by his associates at Globe Freight. Thank you for choosing Globe Freight for your shipping needs. In regards to Lugio Ibrahim shipment .kindly forward detail requirement for the pick up.To enable us process freight and schedule pick up accordingly.Kindly send us the required info below. Counting on your rapid correspondent to forward a quote and process pick up as requested. All ways at your service!! Thanks for writing. I noticed that Rev Lugio has been CC’d on this message as well. I trust he got my earlier e-mail regarding the mix up about the fog walking accessory kit. The shipment we have for him includes this accessory kit and not the dog walking attachment. The cost of this shipment is therefore $11100 instead of the originally quoted $11500. We also need to know Rev Lugio’s preference for the complementary set of barbecue tongs. We have cherry or ergo grip. Please let us know your preference so that we can include these items in your shipment. 2. Ship to address: I do not know where Rev Lugio wants this shipment sent. I hope he can let us both know. 4. Pickup date: We are open from 8am – 5pm Monday to Friday. The shipment can be picked up anytime, but we would appreciate hearing from Rev Lugio regarding his barbecue tong preferences before releasing the shipment. Please let me know if there is anything more I can do to help. Looking forward to hearing back from Rev Lugio about the shipping destination. The next day, I heard from Reverend Lugio. Thank you for the details,please send me your phone. I would like to make the payment with my credit card on Phone and concerning the barbecue tong what are the prices and do you have it in stock ? The barbecue tongs are complementary. They are included with the hot dog cart vending attachment. If you would like to purchase additional tongs, they are sold individually for $10, or $400 for boxes of 50. They come in cherry or ergo grip. Both are the same price and we have plenty of each. Please let me know your preference for your complementary pair and also whether or not you’d like to purchase additional boxes. At the Bicycle Forest, we pride ourselves on our commitment to customer service. I must insist that I pay for the phone charges when accepting your credit card number. Please send me your phone number and I’ll call you later today. I will order 50 boxes for the cherry and 50 boxes for ergo grip. making 40 boxes .Kindly send the rest of the details to my shipping company i would like to know how much i will spend on transporting shipment to my church in Kenya -Nairobi .You can also reach me on 339 368 6907 . I had a brief phone discussion with Lugio. There was a fair bit of confusion on both ends concerning the number of barbecue tongs we’d be including in the order, but we got that sorted out. I think we were both relieved to be able to hang up the phone and resume our e-mail communication. I was speaking on the phone with Rev Lugio today. He said he would e-mail me his shipping address but I have yet to receive that from him. I’ve CC’d Rev Lugio on this e-mail in the hopes that he will let us both know the address ASAP. He did say that the shipment would be going to Nairobi, Kenya though. It turns out that I will be including two additional boxes of barbecue tongs with the shipment. Each box is 2′ X 2′ X 2′. When I add these boxes to the crate, there is a 6′ X 6′ X 2′ empty space that would really be worth filling with something. I would recommend adding two Teenage Mutant Ninja Turtles Above Ground Inflatable Swimming Pools. This product ships in a 6′ X 3′ X 2′ box and is currently on clearance for only $150. If you purchase these products, I’ll include a third box of barbecue tongs at half price. This will fill the remaining 2′ X 2′ X 2′ gap in the crate. Rev Lugio, if this is acceptable to you, then the dimensions of your shipping crate will be 8′ X 8′ X 6′. The total weight will be 962 lbs. The total cost will be $12400. Benjamin, I hope that Rev Lugio will forward you his shipping address post-haste. If there is anything more I can do for either of you, please don’t hesitate to let me know. Yes please include Teenage Mutant Ninja Turtles Above Ground Inflatable Swimming Pools. Moreover the ship to address is below. I will call you early morning to make payment to enable pick up take place. God bless you and looking forward to make business with you in the near future!! Thank you for your co-operation the estimate cost for the shipping will sum up $5,950 this includes Air freight charges,tax, packaging ,insurance and 3day delivery service as advice by Rev Lugio Ibrahim. We don’t have credit card facilities to process credit card payment. However we require payment via money gram for overseas shipment to proceed with packaging . Upon receipt of payment info from money gram or western union we will forward you a representative for packaging and pick up. For overseas shipment please Make payment via money Gram to the Account Manager West/Africa department.Please send payment details to update your pick up details in our data system before packaging and pick up . All ways at your call !! Later that day, I got a phone call from Reverend Lugio. As promised, he wanted to cover the shipping costs himself. Unfortunately, he claimed not to have the ability to pay by MoneyGram. Instead, he proposed that I pay the fees by MoneyGram myself and in turn charge his credit card the same amount. He proceeded to dictate a credit card number over the phone. Having no intention of charging the card, I didn’t even write the number down. After pretending to ring up the sale, I told him that the card had been declined. To this, he asked me to repeat the number to make sure that I had got it correct. Of course, I had no clue what the number was, so I just rhymed off a bunch of digits. He soon cut me off. Apologizing, he said he likely wasn’t speaking clearly enough. We tried it again and this time I wrote down the number. Of course, I still didn’t do anything with it. Again, I told him it was declined. He tried again with two other numbers, but my response was always the same. At this point, I couldn’t help but ask what he intended to do at his church with 5 treadmill bikes, one equipped with high powered fog lights and the other outfitted with a hot dog vending cart, as well as 150 barbecue tongs and two Teenage Mutant Ninja Turtles inflatable above ground swimming pools. To this, he said that he intended to offer them as prizes in a fundraising raffle. I soon received yet another e-mail from Reverend Lugio. Thank you for spending time on the phone,i sometimes have sight problem ,i would like to provide you with the credit card details via email .please split total cost of order plus shipping equally among the ,master credit card details below bit by bit. Reverend Lugio listed the credit card details of two random people here, but for obvious reasons, I’m not going to reprint it. Sadly, I’ve been left lacking proper closure to this story. I wrote back to Reverend Lugio with the sad news that the other credit cards he hoped to charge a total of $5950 to were also declined. I suggested that he forward me some information about his church and the plans he had for the five treadmill bikes, fog lights, hot dog vending cart, 150 barbecue tongs and two Teenage Mutant Ninja Turtles Above Ground Inflatable Swimming Pools. I realize there was talk of a raffle, but I know that his full plan would have been so much more than that. I figured we just needed to get the word out about this project and people would get behind Reverend Lugio with the financial support he so desperately needs. I can hear the clasps on those wallets and change purses opening already. But alas, it’s too late. I have not heard from Reverend Lugio now for over a year. However, he lives on in my heart. Although we’ve never met, I can see him perfectly, a tireless man of the cloth, watching over his flock by night aboard a treadmill bike outfitted with 100 watt fog lights. With Reverend Lugio as my shepherd, I shall not want. This entry was posted	on Friday, October 28th, 2011 at 2:57 pm	and is filed under Fun. You can follow any responses to this entry through the RSS 2.0 feed. You can leave a response, or trackback from your own site.